The Russian Police and Emergency Services are among the latest units buying the UK-made LED light bars, which have a lower profile and higher efficiency than traditional lighting systems. The latest nav-comms high power, surface-mount LEDs are brighter, last longer and use less power than traditional halogen and strobe lighting used in beacons on emergency vehicles such as police, fire and ambulances. The new lighting units have a physically lower profile, thus they cause less drag on the emergency vehicle at top speed, making it more energy-saving and faster, and reducing the vehicles carbon emission. The units are designed not to interfere with other vehicle onboard equipment, such as life-saving machines in ambulances, and satellite navigation and communications equipment. The new product has been in development for over two years and is now in mass production in the UK, with major interest being shown by emergency vehicle users across the UK and Europe. The Russian Police and Emergency Services agency, including the Russian Ministry of Defense, has ordered the first delivery of LED light bars to be fitted to Ford Focus and Mercedes cars. 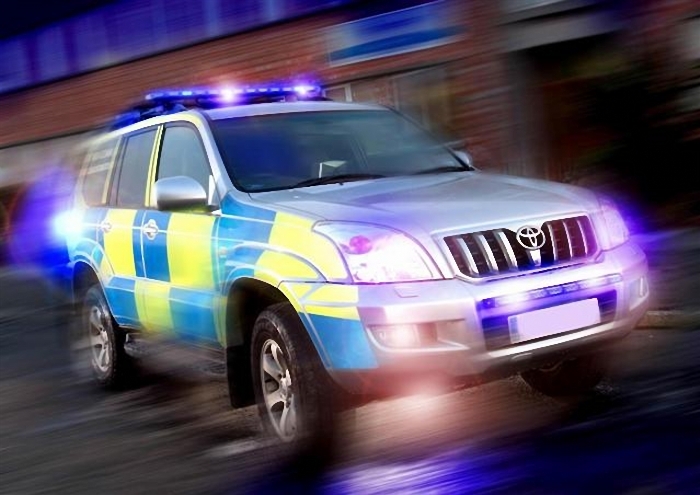 A double-row LED light bar will be fitted to larger vans and trucks. LEDs offer significant energy savings over conventional halogen lamp sources, particularly when a lamp is filtered to produce colored light. In this application, the energy consumption of an LED solution can be as little as 10% of an equivalent halogen lamp product. The latest white LEDs offer luminous efficiencies that are typically 45 lumen/W, which is 2-3 times that of a halogen lamp and helpful for emergency scene lighting. They have a life expectancy of 100,000 hours, which keeps the emergency vehicles on the road and out of the garage, reducing cost, time and the need for spare vehicles. The system was developed in cooperation with Merseyside Polices Liverpool North Equipment Office. Because of the low power consumption, the new style lights are also suited for electric vehicles and the new generation of utility vehicles. Nav-comms work with the UK police, home office and emergency service has produced some equipments designed specifically for UK and European vehicles, including digital video recorders and touchscreen switching systems for use in vehicles.